TRADITIONAL FIT: This chef coat is women styled and fitted for durability and comfort ensuring this coat works as hard as you do without the hassle. This coat features long sleeves, cloth covered buttons for simplicity, reversible front closure, a chest and thermometer sleeve pockets, and a classic cut for a tailored look and easy fitting. 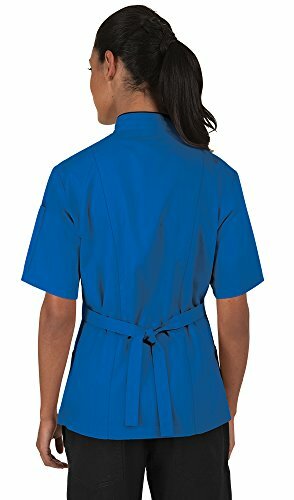 EXECUTIVE ACCENTS: With a stand-up mandarin style collar, piping and an adjustable back tie belt at an incredible value, this chef jacket was made with food service professionals in mind. Not only does this coat easily coordinate with any attire or match any standardized uniform requirement, these extra touches of styling help create a look that doesn't get any more professional than this. GREAT QUALITY: This coat is made of a premium blend of 65% polyester and 35% cotton fine line twill fabric blend that feels great and looks good. This coat is made with food service professionals in mind. EASY TO CLEAN: Machine wash this chef coat with similar colors and tumble dry on low. If needed, cool or hot steam iron. 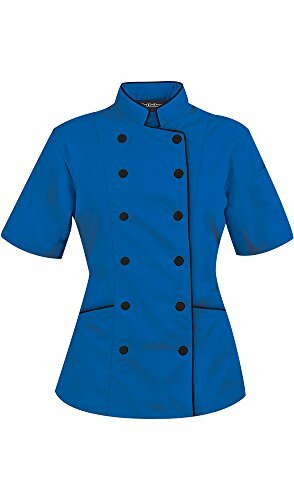 EXCELLENT VALUE: This Women's Chef Coat with Piping is comfort, quality and value, all bundled in one. 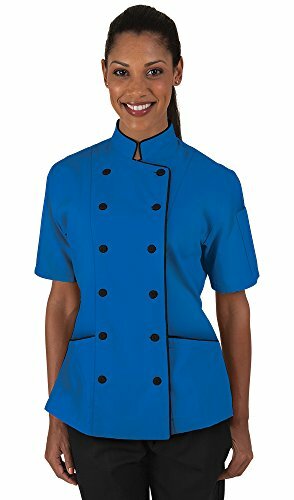 Chefs, Line Cooks, Caterers, Counter Servers, Expediters, Directors, Managers, Students, Bakers, and much more; all find this coat affordably priced and available in a wide range of sizes perfect for all food industry professionals. Click 'Add to Cart' now to join the list of satisfied buyers! 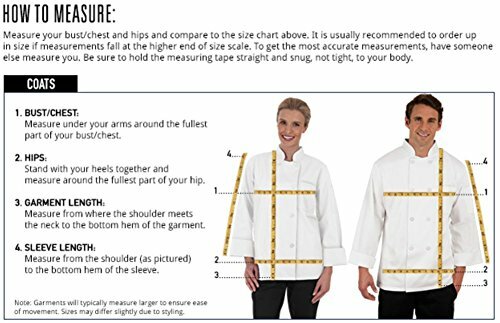 If you have any questions about this product by ChefUniforms.com, contact us by completing and submitting the form below. If you are looking for a specif part number, please include it with your message.